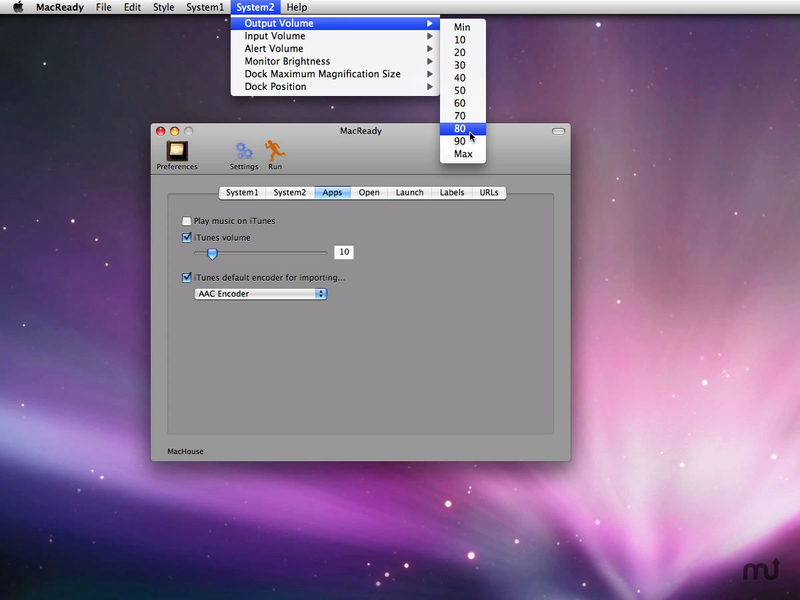 Performs dozens of tasks to get your Mac ready to work. Is there a better alternative to MacReady? Is MacReady really the best app in System category? Will MacReady work good on macOS 10.13.4? Let MacReady help you get your Mac ready to work. Emptying Trash, setting the output volume level to 0, setting the brightness level to minimum, opening particular folders, launching iTunes... You won't have to do all these tasks for yourself every time you turn on your Mac. Choose tasks that you want it to perform, and MacReady will do them all on your behalf when your Mac starts up or at any time. MacReady needs a rating. Be the first to rate this app and get the discussion started!